Looking for a fast pass fishing adventure, then this is it! Our team of professional fishing guides spends more time chasing striped bass in one year than most do in a lifetime. 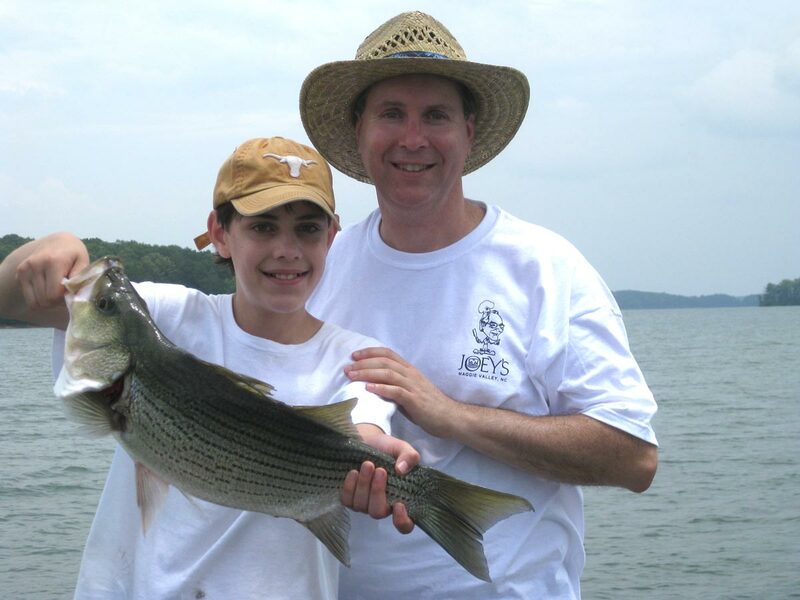 This trip, on lake Hartwell, is ideal for family and clients due to the high catch rate. This hard fighting bass is the most rewarding to all our customers. Capt. 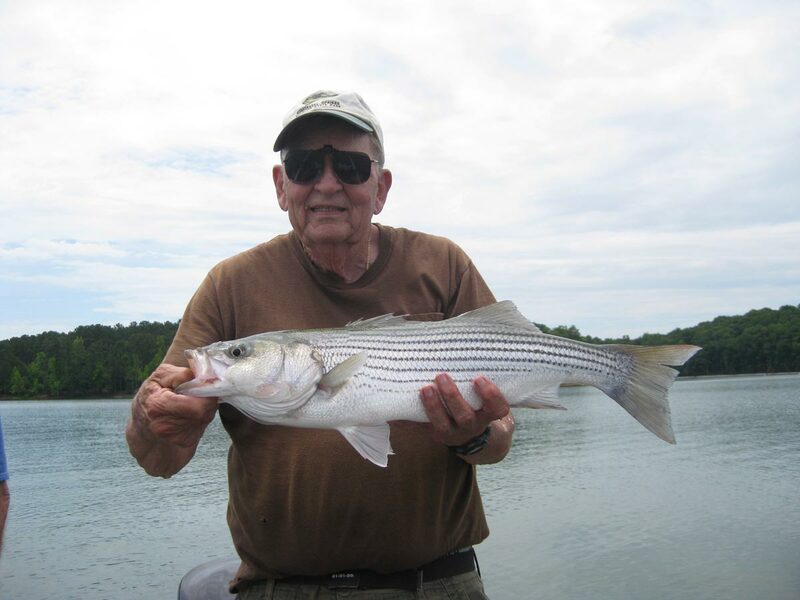 Frank Askew, head guide with Up-Close Outfitters, has fished for big game most of his life, including 50 pound plus saltwater stripers. With such well rounded big game experience he has innovated new techniques for fishing for these fresh water bass. 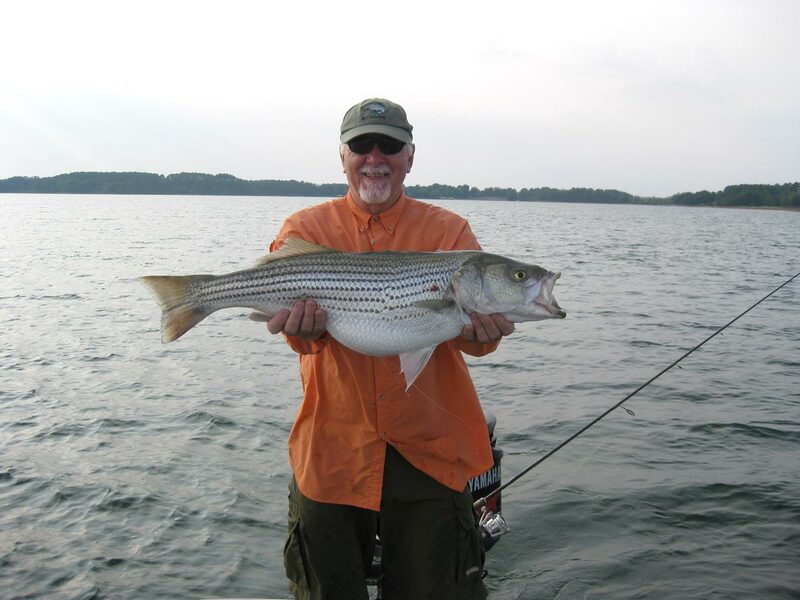 While most of the striped bass fall to live bait, our lake Hartwell guide service, regularly employs trolling tactics dominated by the salt water industry with amazing results. Our state of the art equipment, Champion boats, and technology-driven approach make us one of the best-equipped guide services in the South Caroina. All our boats are tournament rigged with the hottest new lures and innovations. 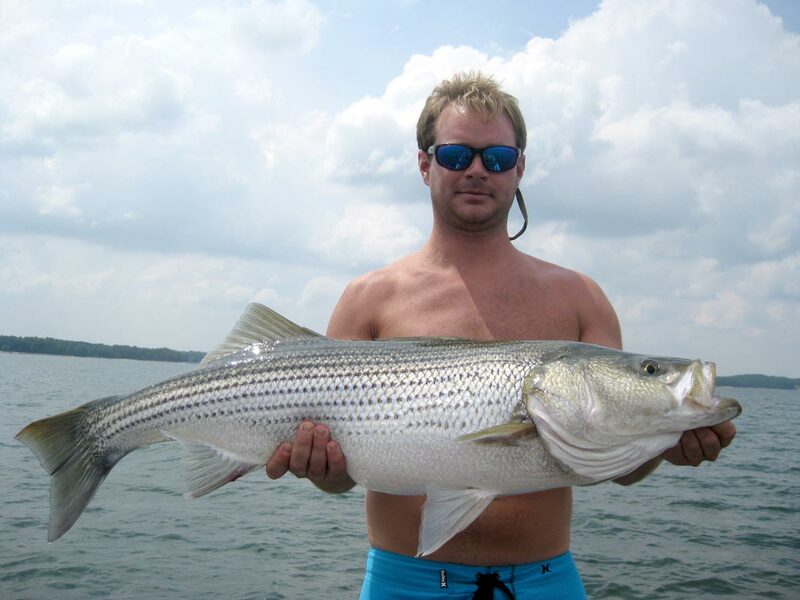 Known for our professionalism and finest guides in NC and SC, no other fishing charter business can compare with the fishing experience that Up-Close Outfitters provides. We pride ourselves in delivering quality fishing. If you are after a trophy, our professional guides will have the equipment and lures to pursue your giant. If you prefer numbers, we can gear all of our attention to areas and techniques that will produce more fish. Up-Close Outfitters provides a customized experience that leaves the customer with a new set of skills and memories for his or her next fishing adventure. There is no other guide service that pays attention to detail like Up-Close Outfitters. Your all inclusive day on the lake will include transportation to and from the lake and 8 hours of fishing.